Working with your preferred style, needs and budget, our designers will explain the countless options for fixtures and then design a relaxing retreat that you will be proud to show your friends and family. You can do as little or as much as you wish or your budget allows. 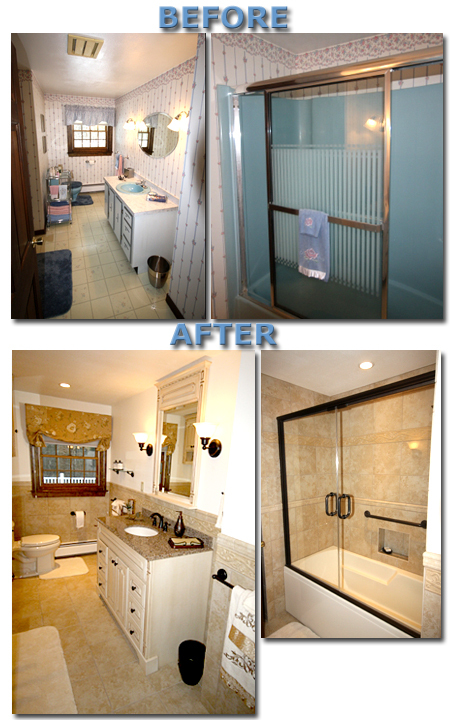 We can help you with a simple bathroom facelift of a new vanity and medicine cabinet, fixtures and accessories… or we can do a complete demolition and redo the entire room from scratch. If space in adjacent areas allows, we can even enlarge the bathroom. Prior to meeting with a designer, you should have a basic idea of your needs and preferences. We suggest visiting our Online Showroom or browsing through magazines to inspire ideas. Create a design folder with two sections: needs and wants. Once you see something the you like, print (or cut out) pictures and put them into the folder. Installing a steam bath/shower or customized spa shower with multiple water jets will rejuvenate your body and soul. Installing radiant floor heating to keep your feet warm and cozy, heat the room for when you get out of the shower, and help wet floors dry faster. 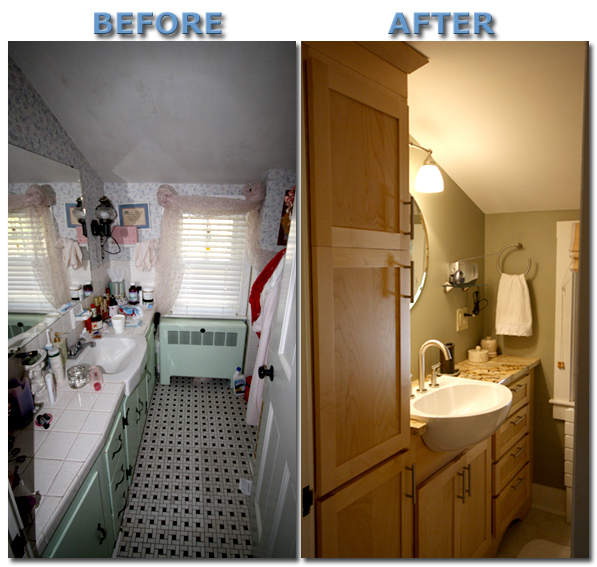 Enlarging the bathroom area by expanding it into a new addition or an unused room/closet. These new spaces can also be used to install a new shower or steam room! Once you have a basic idea of your needs, desires and budget, you should arrange a free consultation. We will discuss the many options for layout, fixtures and designs which will best suit your budget and needs. Based upon the features discussed at your consultation, our bath designers draft the design prints for your new home spa. Below are several of our featured bathroom designs. For more photos from these projects or others that we have done, please feel free to contact our design team or stop into our showroom.